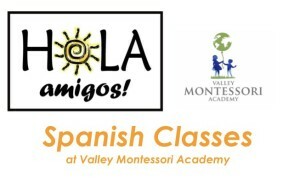 We are excited to announce Spanish Classes for Children 18 months through 9 years old at Valley Montessori Academy. Our Spanish curriculum has been developed by Montessori teacher Alice Renton- the founder and sole proprietor of In Other Words, a company that develops Spanish language curriculum and resources for Montessori Early Childhood and Elementary classrooms. Her program is based on the Montessori philosophy as well as language development of each child. 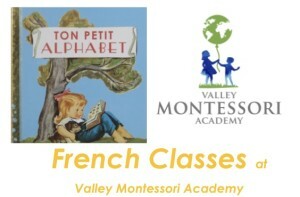 Russian Classes for Children 3 years old through 10 years old at Valley Montessori Academy. We use professionally developed reading methods and books by Elena Danilova, Chapligin’s Blocks and other authentic russian books and materials. Tuition is $15 a class.